Seven Australian players, including skipper Tim Paine, hit the SCG nets on the first day of the new year in their bid to get battle ready ahead of the must-win fourth and final Test against India starting January 3. 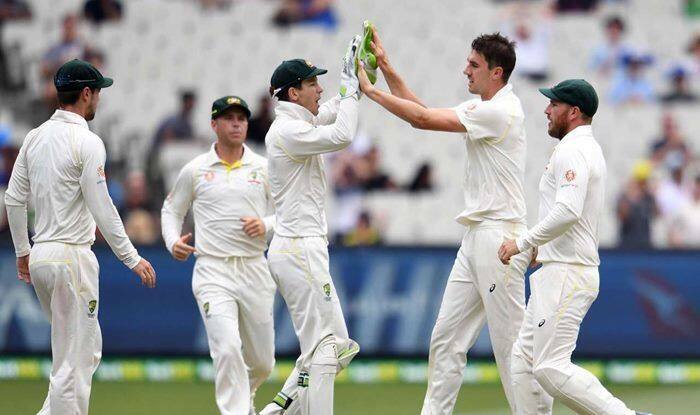 “Seven members of the 14-man squad – Tim Paine, Nathan Lyon, Usman Khawaja, Aaron Finch, Marcus Harris, Peter Handscomb and Marnus Labuschagne – trained under brilliant Sydney sunshine in the morning as the nation steadily rose after seeing in 2019,” Cricket Australia’s official website posted. During the optional session, leg-spinner Labuschagne, who is tipped to play in SCG was seen bowling to Queensland teammate Khawaja. Opener Aaron Finch, who has scored only a single half-century in three Test matches, might be axed from the playing XI and as per reports, did not bat in the nets. The other batsmen faced the New South Wales bowlers Trent Copeland and Mickey Edwards. As per the CA website, “An unchanged line-up is still a possibility, with Finch shifting down to the middle order where he calls home at first-class level, and those ahead of him moving up one spot.